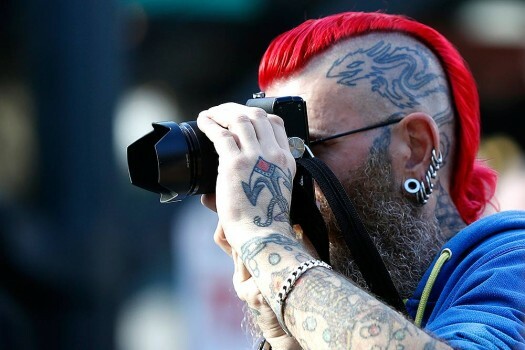 A visitor takes a photograph at The International Tattoo Convention in London. 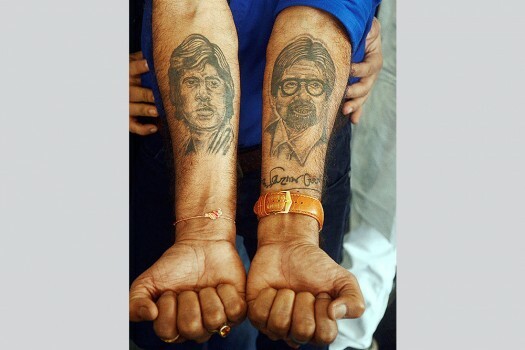 A visitor displays his tattoos at The International Tattoo Convention in London. A tattoo artist shows a customer a picture of his work at The International Tattoo Convention in London. A tattoo artist works at The International Tattoo Convention in London. A man gets a tattoo using a traditional method at The International Tattoo Convention in London. 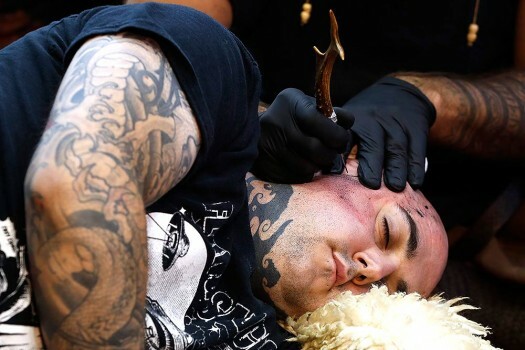 A man gets a tattoo using a traditional hand-tapping method at The International Tattoo Convention in London. A man is tattooed by Thomas Schehr of Germany at The International Tattoo Convention in London. 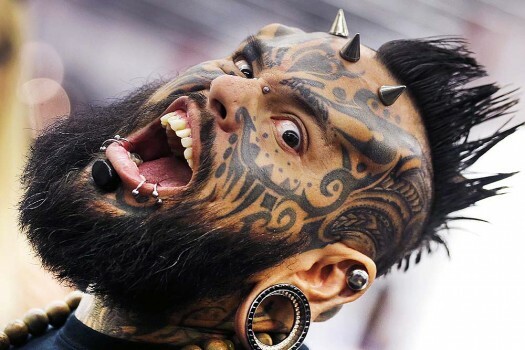 Emilio Gonzalez from Venezuela shows his tattoos and piercings on the first day of the Frankfurt Tattoo Convention in Frankfurt, Germany. 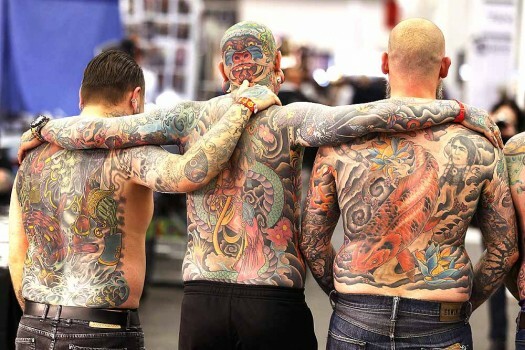 Three men from Holland show the tattoos on their backs on the first day of the Frankfurt Tattoo Convention in Frankfurt, Germany. Karan has lost count of the number of tattoos he has on his own body.